– AED wall mounted rescue station cabinet with alarm system. 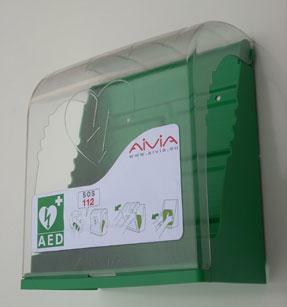 – Now with quality AED cabinets you can proudly display your AED for all to see and have the piece of mind knowing that it is protected from dirt, dust and possibly theft. – Designed with round corners which are safer for people. – Green, good quality plastic.